Vanto Group is expanding its operations and we are looking for experienced, skilled and motivated sales professionals to join our team. If you are passionate about working for an empowering and ethical company, have the drive and tenacity to deliver results and want to know that your work makes a real difference in the world of business, this opportunity is for you! 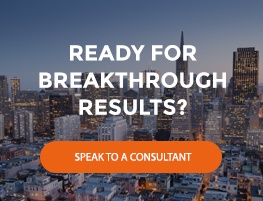 As a Senior Sales Consultant, you will have the opportunity to make a significant contribution to the growth and recognition of Vanto Group as a global leader in breakthrough performance by identifying, cultivating and adding new organizations to our roster of clients. Working remotely, you will be a key member of a highly collaborative sales and consulting team and gain access to unprecedented professional development opportunities while contributing new thinking and new ideas as our organization grows. Consistently close contracts for high-value, complex consulting engagements by networking, cold calling, conducting sales meetings, designing engagements, process administration and other sales and marketing activities consistent with high-powered, creative sales performance in the professional services market. Provide collaborative leadership in strategic, team-based conversations that support the identification of client needs, design and planning of engagements, setting and negotiation of fees and the closing of deal in a diverse range of large and complex organizations. Participate and contribute to regular conference calls, annual staff meetings and workshops designed to develop your understanding of business offerings, impact team performance and plan your part in the expansion of our global presence. Interface with administrative operations to ensure maximum revenue, profitability and administrative compliance is maintained during lengthy and complex contracting activities. fast-paced community, then we want to hear from you! Send us a cover letter and resume to be considered for the position.